Sophie Cummings, Curator at the museum and art gallery, gives regular free lunchtime talks between 12.30-1pm. These have become increasingly popular, and last Friday's talk was no exception, there were about 22 people at Friday's talk on the recently acquired early Grayson Perry perfume bottle with a range of stoppers. The first photo shows some of the crowd. And from the other side taken during the Craigie exhibition. Michael Gray talked about Brightwen Binyon to an audience of about 37. I didn't take notes, and because the chairs in front of the screen were all taken, I was unable to take any decent photos. I'll put up some of the photos I already have. 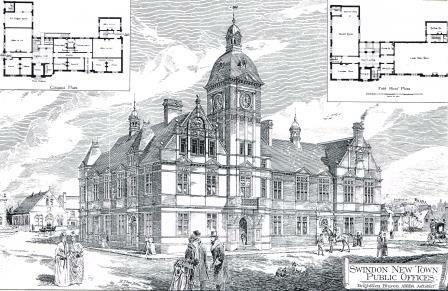 What impressed me about Binyon was his output in terms of building commissions he received, and executed. 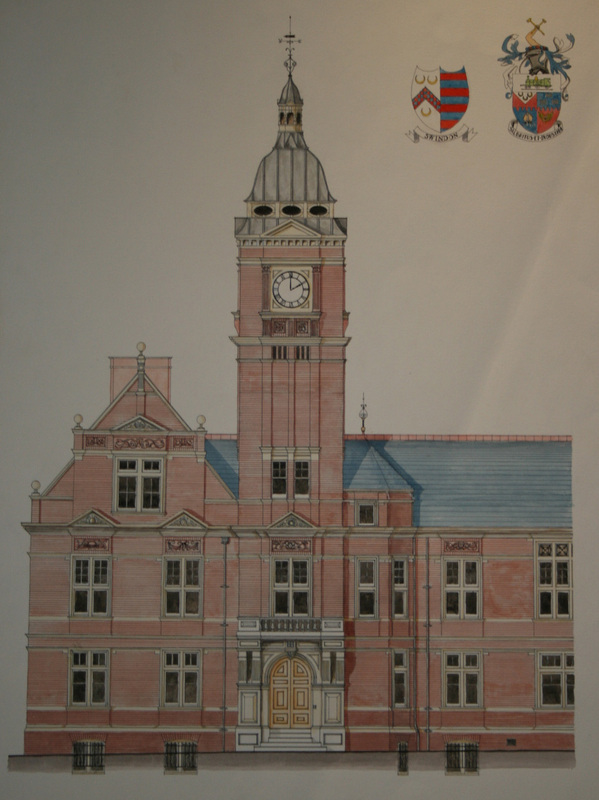 Based in Ipswich, he became known in Swindon as someone who could design schools, so his services were required there first of all, then he was used when the Mechanics Institute needed remodelling; £14000 was spent on that, compared to £9000 available a bit later on when a Town Hall was required. Our Town Hall has an out of proportion, elongated tower on it because it needed to be higher than the tower on the Corn Exchange. They are a pair of semis built on a grand style. Amazingly enough Binyon fitted this amazing output into a comparatively short life, he died aged 59 in 1905 leaving a fabulous legacy of his buildings behind him. 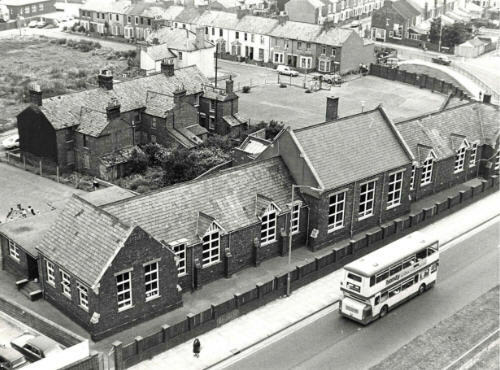 Michael then answered a few questions relating to the demolition of buildings like these across the country in the 1970s when they were no longer appreciated quite so much. 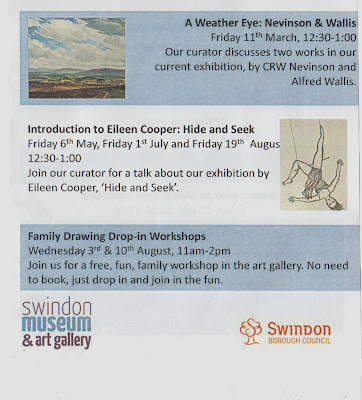 Thoughts of course turned to what sort of building would be suitable for our new museum and art gallery in the Cultural Quarter of Swindon beside the Wyvern Theatre. We are fortunate to have Michael's architectural expertise, and now as member of the Friends we can see even more of him! Also we are hoping to have a larger screen, it was pointed out that this one is far too small. Michael Gray RIBA, is giving the next talk to the Friends this Thursday at 7.30pm in the gallery part of the museum on architect Brightwen Binyon, so I thought I'd look up more information to advertise the talk and came up with these buildings he designed. Quite a list, 5 in Swindon, although the mechanics was an addition rather than a whole building. 1875 Wallpaper design (now in Victoria and Albert Museum). 1875 – Burlington Road Baptist Church, Ipswich . 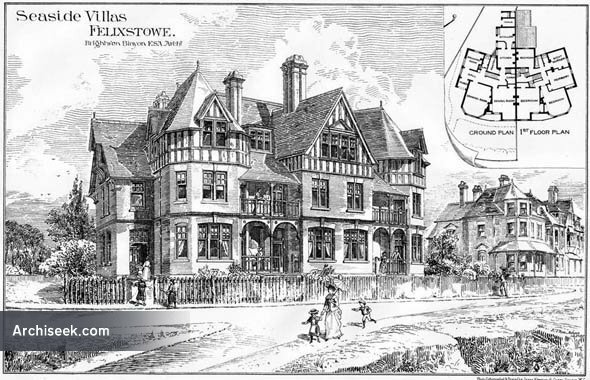 1872 – The Grove, Stanmore, re-modelling in half-timber style. The home of Naturlaist Eliza Brightwen. 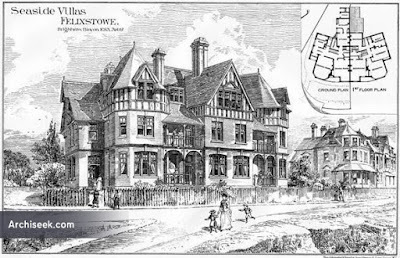 1888-1891 – Enlargement of Stanmore Hall for William Knox D'Arcy. Sophie Cummings has been giving free Friday lunchtime talks for some time now, they are really enjoyable and gaining increasingly large audiences. I think 18 people attended today. 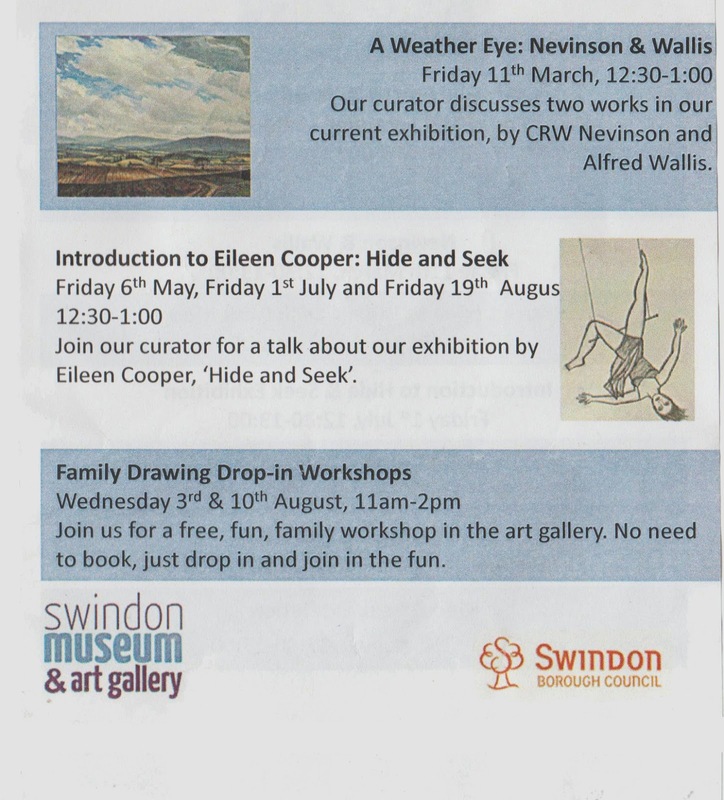 Sophie gave a short introduction to the Swindon Collection and then picked out a few paintings and discussed them, bringing out features I wouldn't notice without prompting. Next talk is in 2 weeks time, 26 February about Grayson Perry's perfume bottle. Try and be there.